I have a beautiful wife and two gorgeous little girls, and the one problem with my passion for paddling is that I can’t squeeze them all into my sea kayak. For some time I have been thinking about this, and how to safely share my love of the outdoors and paddle sports with my family. The solution is to find a stable paddle-craft with lots of room for the whole family. 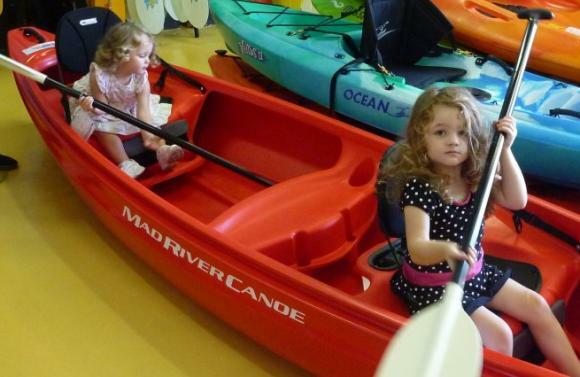 Whilst four-person kayaks go well in the Olympics, they’re not really stable enough for toddlers (or the Fat Paddler for that matter!). 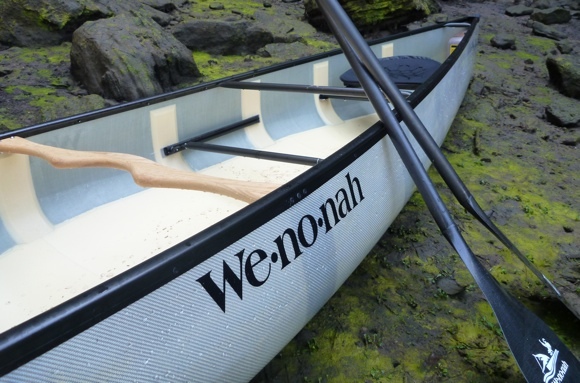 The obvious solution of course is a canoe, incredibly popular in the USA and Canada, but not a hugely popular craft here in Australia. 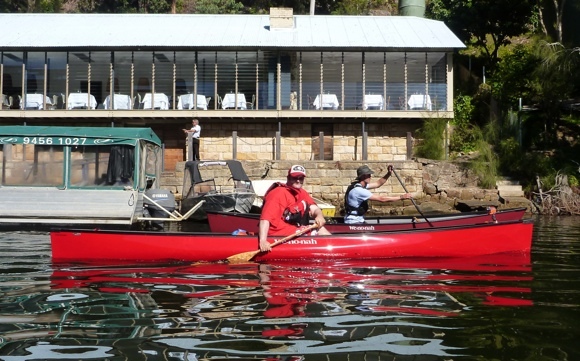 There’s not too many distributors of canoes in Sydney, but the good people from Blue-Earth Paddle Sports in Drummoyne stepped in to help me in my research. After discussing the needs of my family, Blue-Earth together with Mad River Canoes helped to get my family into a Mad River Explorer 14TT, a traditional shaped canoe from the USA. Getting a boat however is only the first part of the equation. 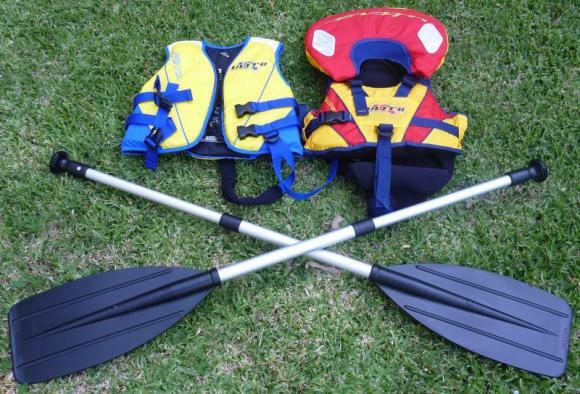 By far the most important concern when paddling with young children is ensuring that their safety is guarranteed, which means preparation way before going near the water. The most important requirement is a good, fitted PFD. My two girls are aged 2 & 3.5 yrs respectively and are healthy, fit and active. 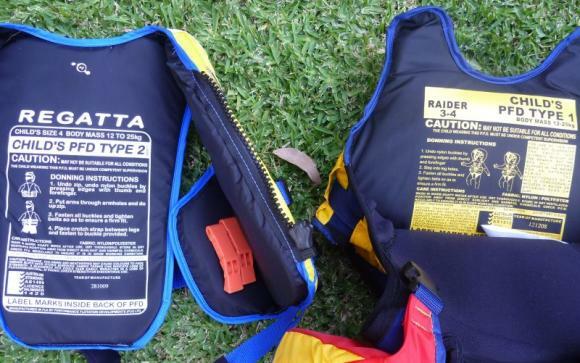 However at that age a fall into the water can kill before you even hear it, so you need to make sure that the PFDs you purchase are correct for their age. For that it is best to seek professional advice. I took my girls into Blue-Earth to have their PFDs fitted, and within 15 minutes we had the right ones to do the job. 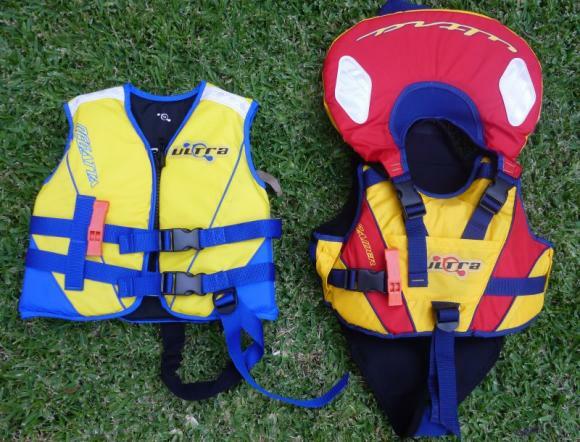 Both have a loop that buckles up between the legs to ensure the PFDs don’t ride up over my girls heads once in the water. The PFD for my 2 year old has a padded section behind the head which will keep her head above water. And for both I added a pea-less whistle so they can get people’s attention if they run into trouble. Check that the PFDs meet the safety standards of your country or territory. Of course swimming lessons are also a great idea to give your children an added level of water confidence so they don’t panic too much if they fall overboard. 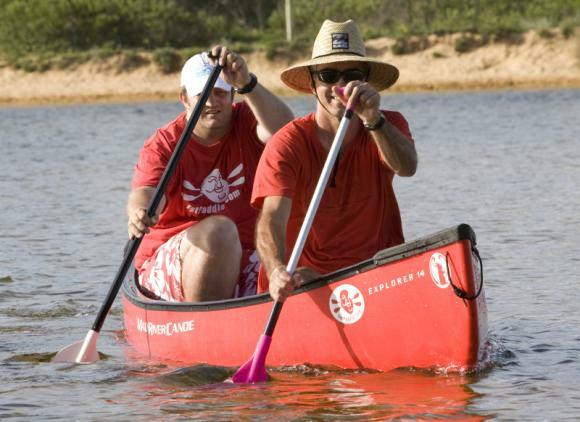 Hats & sunscreen are a must to protect their sensitive skin from the elements. Water, a first aid kit, a compass, some food and an emergency space blanket are all an excellent idea. There is the most inspiring segment in the new This is Canoeing DVD with a guy taking his 4 year old canoeing down a wild river in Canada. My little girls watch it & watch it & are now harping at me – ‘Daddy, can we go camping where the little boy in the canoe goes. we don’t want to camp in the back yard anymore!’ It’s winning the ratings war over Monsters Inc…. This guy is the BEST Dad, him & his little fella scope out the rapids and then run a few of the little ones, fish for dinner at night, toast marshmallows etc, it’s almost a tear jerker it’s so bloody good! It almost makes me want to have a go at the open top canoes, maybe somewhere like the Shoalhaven Gorge above Kangaroo Valley. The question is, do I need another paddle craft? Excellent post mate. By the way, your anti spam thingy is about to ask me to type ‘career hornier’. Is that some sicko thing you are programming…? Funny you should mention the Shoalhaven Gorge, there’s a few of us thinking of doing a paddling/camping trip there soonish. Not sure that my canoe will keep up with your ski or your Rapier though! You’d be more than welcome to borrow our canoe to take the kids out mate, just let me know when. You may have to leave a Greenlander T at my house as “security” though *grin*. OK, it just asked me to type ‘comeback smartarse’…. *laughing* there’s something in that for all of us I think! Searching the web trying to decide if we should take our 4 year old with us canoeing tomorrow…thanks to your input, we are good to go, he should be just fine going w/the rest of our family! My kids are all older and can handle they’re own kayaks. But my neighbors have two person kayaks and they split up the kids one in each with them. They don’t do any lengthy trips and I think the youngest is 4, which may make it more manageable for them.